Downtown San Diego is the city center of San Diego. 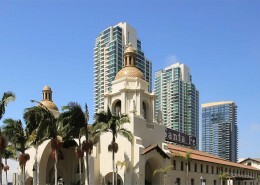 Downtown serves as the entertainment, cultural, financial center and central business district of San Diego County. Many residential condo buildings and apartments can be found in the area as well. Located in Central San Diego, Downtown is bordered to the west and south-west by the San Diego Bay, to the north by Park West/Bankers Hill, Balboa Park and Middletown, to the east by Sherman Heights and Golden Hill, and to the south-east by Barrio Logan and Logan Heights. Just north-west of Downtown is the San Diego International Airport. Downtown San Diego consists of 7 distinct districts and neighborhoods: In Columbia, the waterfront neighborhood of downtown currently going under re-development there are a few newer luxury high-rise condo communities. The Core District is the central business district of downtown. 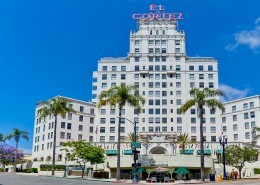 The Cortez Hill neighborhood is found to the north-east of downtown with several mid-rise and high-rise condo buildings. 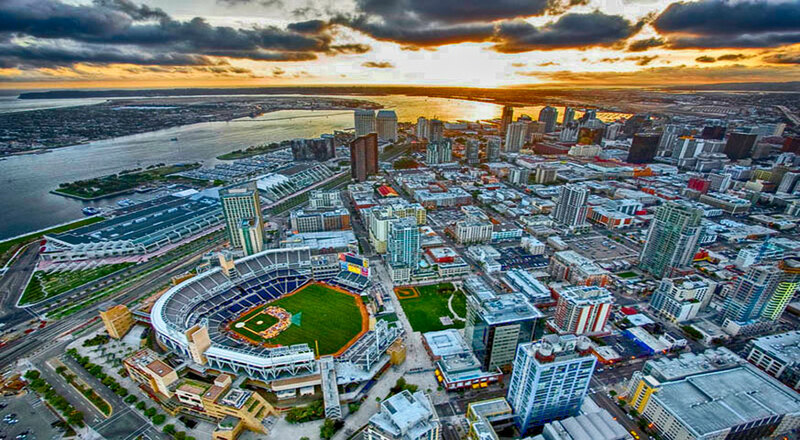 The East Village or Ballpark neighborhood at the east district of downtown, is home to the San Diego Padres and Petco Park and the fastest growing residential neighborhood of downtown. 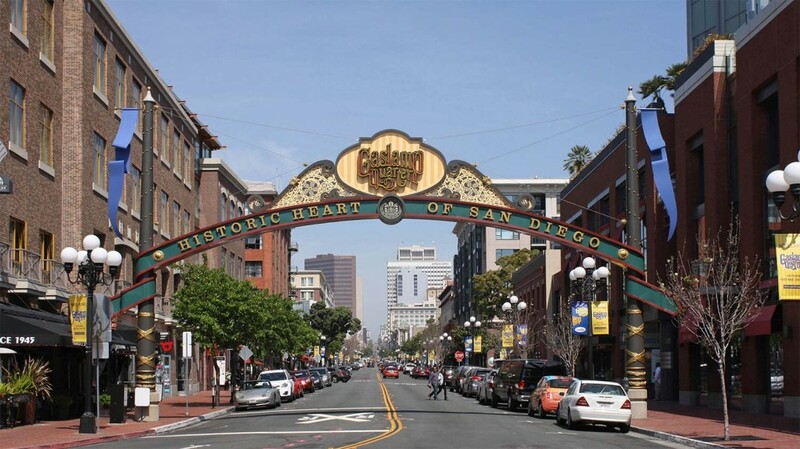 The Gaslamp Quarter is a two by ten block entertainment district in central downtown with also 3 residential condo communities. 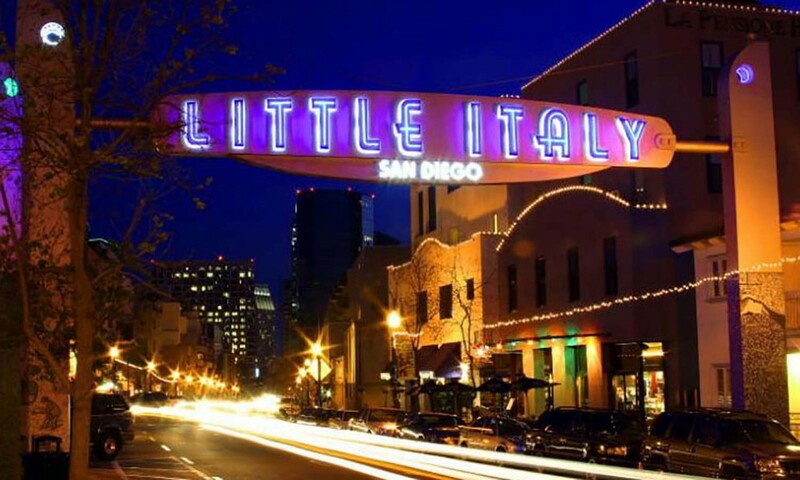 In the Little Italy, at the north-west part of downtown, art galleries, mostly Italian restaurants and markets as well as residential condo buildings are found. The Marina neighborhood located at the south-west part of downtown is home to the Seaport Village and Pantoja Park and is one of the most popular downtown neighborhoods among buyers because of its location and the wide variety of residential styles and types that are found here. 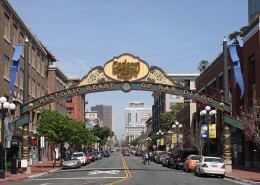 The famous historic Horton Plaza Mall adjusted to the Gaslamp Quarter neighborhood and the San Diego Convention Center by the Marina Village are also parts of Downtown San Diego. 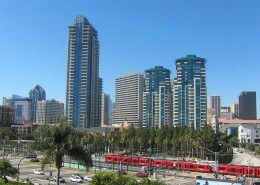 Downtown San Diego provides easy transportation through the Amtrak train, Trolley and Bus lines. With the exception of Marina, mostly a young adult crowd of working professionals. Those looking to work, live & play in Downtown. Those seeking a vacation home near the airport & entertainment. 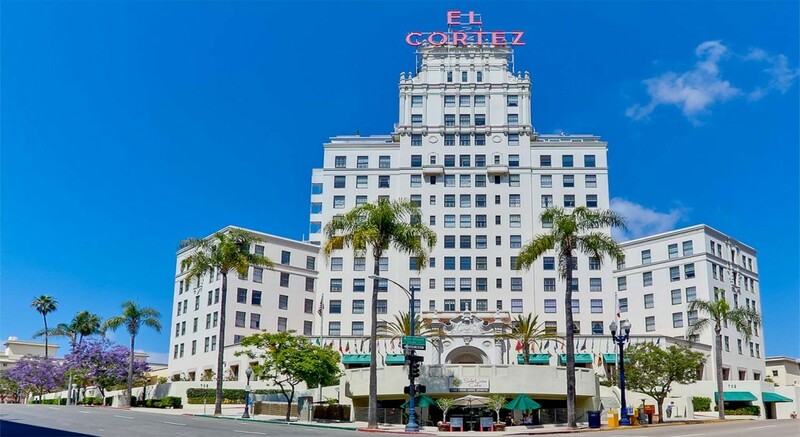 Shopping areas, restaurants , art galleries, theaters and entertainment outside your door. Those looking for a quite living and non stop options for entertainment. Mid to high range penthouses, condos, townhomes, lofts & studios in mid-rise & luxury high-rise condo buildings..
Use our interactive map below to find information and see complete details in Downtown’s most popular real estate communities, condo buildings and find Downtown San Diego condos for sale currently listed in the building of your choice. Data below is for August 2015. 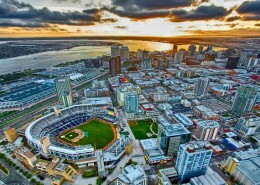 Buying or selling a condo in San Diego Downtown? 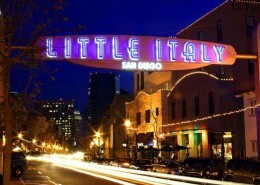 We specialize in Downtown San Diego condos for sale. 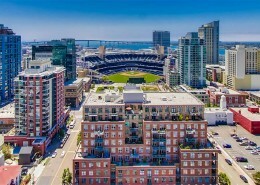 Explore and compare all Downtown San Diego condo buildings side by side listed by neighborhood or use our Downtown map search above to find luxury penthouse condominiums, ocean and bay view high-rise, mid-rise and low-rise condos, lofts, studios and townhomes listed for sale in Downtown San Diego. View monthly updated downtown San Diego market trends including charts and data as provided by SDAR and Sandicor updated monthly and compared to those of the prior year. Call us at 619-921-0284 to schedule a showing or for additional property information. Neighborhood: Metro Central » Gaslamp Quarter » The Lofts at 777 6th Ave.